IT departments need to drive innovation for their organisations in 2019, not hold them back. They must move quicker, use the data more wisely, and most importantly automate mundane tasks so they can act more strategically. IT managers will get practical about AI and serious about cybersecurity over the coming year as well as work to diversify their staffs, embrace multi-cloud architecture, and learn how to collaborate better with colleagues across the organisation. Additionally, they will streamline their organisations and processes to prepare for darker economic forecasts. 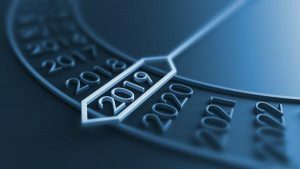 Let’s take a look at resolutions you and your IT staff should be adopting in 2019. Using robotic process automation for mundane jobs, like onboarding new employees or migrating repetitive tasks to the cloud, will free up time for more strategic projects. Immensely intelligent AI-powered bots can see repetitive actions, learn employees’ workflow, determine which actions are taking the longest time to do, and find where there’s significant business benefit in automating those actions,” he says. Just make sure you’re using bots for the right things; some inefficient businesses processes may need to be re-engineered before they should be automated. IT is where new or challenging ideas come to die, all too often. That has to stop in 2019. IT should not be the excuse given by the business for why something doesn’t get done, it should be the champion for change. Tech leaders should be a key part of getting to ‘yes’ instead of being known for ‘no’, and looking for ways to increase revenue, reduce costs, and drive innovation. Security no longer stops at the CSO’s or CISO’s desk. Since a lot of users remains the weakest link in the enterprise security chain, a lot of that is on the IT department. According to a survey by PolicyPak Software, 57 percent of companies still assign local admin rights to ordinary users on average, and the larger the organization, the more likely they are to do it. 33 percent of users who were surveyed couldn’t define the term ‘phishing,’ and 64 percent didn’t know what ransomware is in Proofpoint’s 2018 User Risk Report. The best security tools in the world are not going to eliminate every attack hence enterprises need to start containing malicious code by containing users and doing a better job of instilling basic cyber security hygiene practices. BlackRock estimates there’s a 54 percent chance of an economic contraction by 2021 proving that a recession is inevitable, the only question is when. Streamlining your processes in 2019 will pay off later when the downturn hits. IT departments need to make certain they are injecting flexibility and speed into their software delivery process, so their companies can turn on a dime when the recession hits. Mapping the value streams for software delivery now, while they can still get the budget for it will help companies to address areas of weakness easily before a recession does it for them.